Joseph Mallozzi's Weblog: July 2, 2010: Natsukashii! The Japanese have a word, “natsukashii”, for which there is no English equivalent although I suppose “nostalgia” would come close. But whereas “nostalgia” suggests a feeling of longing, a certain wistfulness, maybe even a sense of loss that is closer to the fatalistic tone of the Portugese “saudade”, the term “natsukashii” possesses an almost evanescent quality suggestive of fond memories and feelings recaptured, a sort of magical journey back to a pleasant instant in one’s past, triggered by a sight, sound, smell, or flavor. So, while “nostalgia” is probably the easiest way for Westerners to grasp the concept, I prefer “this takes me back” as a truer definition of the term. Whether it’s a certain food, a t.v. show, maybe even a particular scent, you’ve all experienced this sense of natsukashii. I have – as recently as the other day when I was driving home with the window down and had those fond remembrances triggered by, of all things, the smell of skunk. Yes, believe it or not, the smell of skunk is one of my natsukashii triggers. 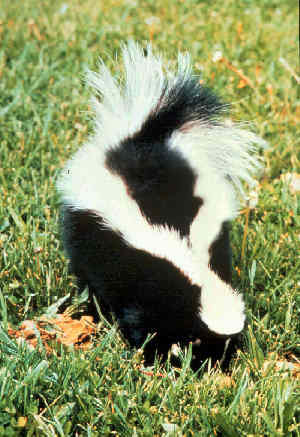 It takes me back to my childhood growing up in the Montreal suburbs, where skunks were plentiful and their wafting aroma was as much a part of our family evening patio sit-downs as the chirrup of crickets and bzzzzAP of the bug zapper. And that got me to thinking about the otherwise unremarkable elements of every day life that serve as personal and particular catalysts, awakening my sense of natsukashii. Hate the stuff, but it does bring back happy memories. 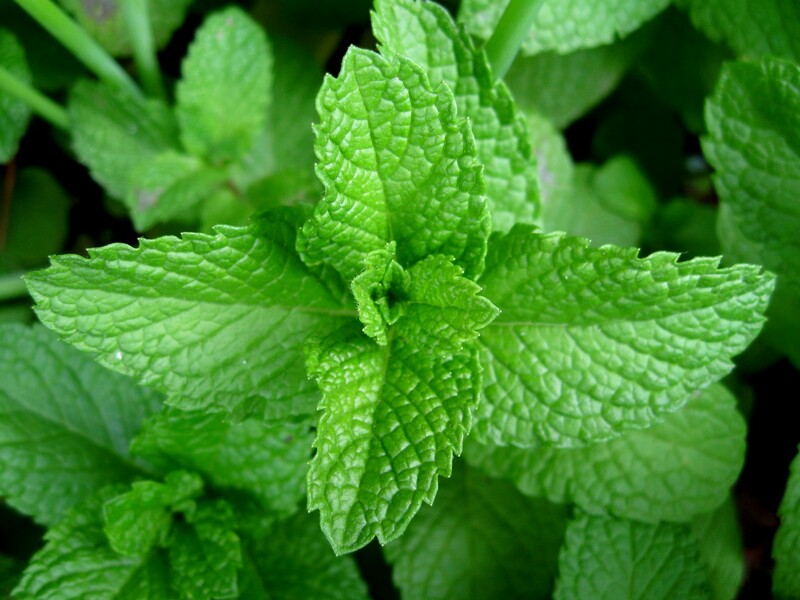 In addition to skunk, it’s the smell of mint – which is somewhat strange given that it’s an herb I don’t particularly enjoy and generally tend to avoid, but the scent takes me back to my childhood days spent running my fingers through the mint my parents used to grow in their backyard. Needless to say I picked up all six seasons on dvd. Anyone up for a marathon? 60’s t.v. 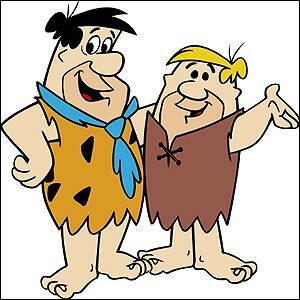 is a huge trigger, especially The Flintstones, a show my sister and I would watch every day when we’d come home for lunch. We’d head downstairs and eat smoked meat sandwhiches or, on those special occasions, Kentucky Fried Chicken and Bubble Up, delighting in Fred and Barney’s antics while, upstairs, dad played cribbage with his boss, the both of them trading bizarre, unfathomable phrases throughout like “Fifteen four and the rest won’t score” or “Fifteen two and the rest won’t do” as if communicating in code. Get Smart, Batman, and Hogan’s Heroes are also on the list along with the psychedelic Spiderman animated (well, sort of) series. On the movie front, it’s the original Star Wars which I must have seen a good two dozen times in the first year of its release. Also, the entire run of Planet of the Apes movies, which explains why I have so much hate for Tim Burton’s re-imagined version. Well, that and the fact it was a piece of crap. Oh, yeah, that's the stuff! 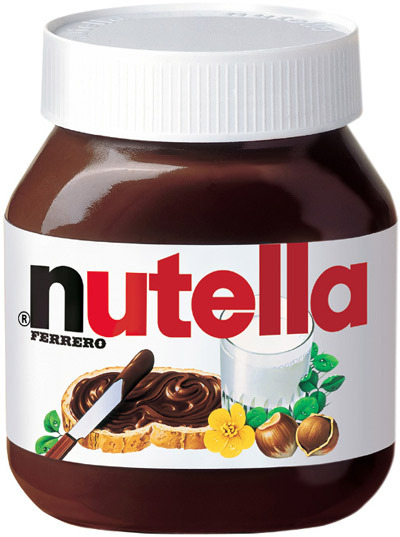 When it comes to flavors, one takes me back more than any other: the rich, hazelnutty taste of nutella. Hey, I’m Italian, and if you grew up Italian, chances are you ate a lot nutella sandwiches. And, if you were like me, you also slathered it on powdered doughnuts and ate it with vanilla ice cream. Or, occasionally, straight out of the jar. Man, just the sight of this cover makes me want to go back and re-read my collection. Comic books! Which no doubt explains my life-long love of the medium. 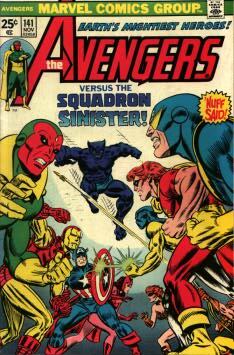 And even though I do appreciate new titles like Scalped and DMZ, certain titles remain near and dear to my heart: 70’s Avengers and Spiderman, and 60’s Batman. 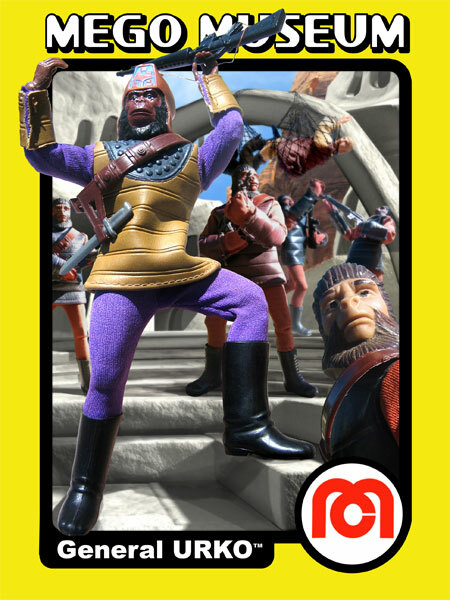 Planet of the Apes action figures (Not dolls, mind you. There’s a big difference.)! These are just the few that come readily to mind, but I’m sure there are countless others I’ve forgotten – and that I’ll no doubt be reminded of when I least expect it. And you? What makes you natsukashii? Today’s entry is dedicated to birthday boy Major D. Davis. Previous Article July 1, 2010: Commemorating a very special day! Next Article July 3, 2010: Q4 with Nia! Cheaters prosper, especially in soccer! Anime round-up! Book of the month club reminders! Good, I’m an early commenter! Because the photo with this article gave me a case of SG1 natuk…natsu…nak…um, dèja vu? Take a close-ish look at the USAF colonel, third from left. Anyone else see a Janet Fraiser resemblance? Great topic but I’m so busy working that I can only give one natsukashii.. lamb roast. As a child my mother REFUSED to have any lamb product in the house.. she hated it and so we weren’t allowed to have any – up until the age of 18 I never knew what it tasted like. (trust me when I moved out I gorged myself on its luscious flesh). The neighbours at the back of us always cooked it on a Sunday.. I could smell the aroma of lamb roast, the much used lard it cooked in.. and would visit often through the gap in our fence in the hope that I’d just get a tiiiiny morsel.. but they were so poor they never offered. I loved their sense of family with seven kids and always sitting around the table eating their traditional meals. I was really envious because I never felt that with my dysfunctional mess of a family.. Living in Australia for a time, we were able to buy generic “Chocolate Hazelnut Spread” for $1.99 at Woolworths. Nutella is just too d@mn expensive in the US. My kids lived on this stuff. It wasn’t just a pleasant memory. It was a way of life. Hey Joe – I may have experienced Natsukashii with the breakup with my first girlfriend when I was a teenager. She loved string cheese, and after we broke up, cheese would remind of her. I would eat pizza to remember her, which did no favors to my waistline. Does this count? When they redid the cafeteria at the University Center at my school I immediately noticed a very specific smell. I guess that’s not quite the same, but my association with what passed for that smell garunteed I did not eat there very often again. I still can barely show restraint around a pan of brownies. Also – Nutella is awesome. I can’t keep it in the house or I’ll just open it up and eat it. On a non-food level, a good thunderstorm, the kind with tornadoes and the sky turning black (or green). Thanks Joe for the dedication! Wow. Nutella.. soooo good yet so bad for you. Love that stuff! Watching reruns of SGA on Syfy brings me that kind of feeling! As does spaghetti sauce simmering on the oven. Hey Joe. Not sure I’ve ever had that happen. Sure, certain smells and I’ll remember where I was when I’ve smelled them before, but I get no emotion from it. Some smells I just love, strange chemical smells that don’t bring back any memories just feelings. Ah well, I’m strange. My mother made all my clothes up until I was about 25. She was the greatest seamstress. Just the other day, I caught myself mesmerized and staring at someone’s dress. The fabric she had on reminded me of something my mom had made me long ago. It is usually from the 70’s and I try to remember the exact dress and style. This has been happening a lot lately. Also, the smell of my grandma’s basement. Every so often, something will have that same old, dark, quiet, damp smell and it will immediately take me back to playing in her basement, exploring every nook and cranny. All the cool things we found down there…like a pair of old crutches. I remember using them out in her front yard, wanting her neighbors to see me and say “that poor child, she has a broken leg”. Now I have tears in my eyes…you’ve made me cry. Super bubble bubble gum. Brings back some of my earliest memories. Once a week I’d get a quarter for an allowance. A short bike ride to the nearby p.x. annex, and the quarter would convert into a comic book (Dell Tarzan, Korak, Turok son of Stone, or one of the Marvel titles), an orange sherbert push up, and a piece of super bubble. With a penny change. I’d sit outside and eat the sherbert while reading the comic, then enjoy the gum on the ride home. Otherwise I’m usually caught offguard by scents and the memories they evoke. It’s astonishing how strong such memories can be. Thanks for sharing your natsukashii. I’m glad you brought up the topic, and am eager to see what some of the other regulars come up with. @anyone going to Shore Leave. So, how about a roll call? Perhaps a get-together one evening? Or we invade one of the panels and turn it to Stargate talk? They extended the debt payment deadline again for MGM. So no news on anything Stargate until late August. Okay, no lie – but right *now* sitting in front of me, I have this little 18g sample packet of NUTELLA that I got last week at Costco, that I *just* took out of my fridge to snack on!! And thankfully, *NO* skunk smell – tonight! Actually, it’s been pretty good lately with the lack of such, so, I shouldn’t say anything to jinx things up! The smell of Honeysuckle and cut grass. The two go together because I grew up in a small town in a house on 2-acres were I was the “slave-labor, push-mower, grass-cutter” for most of my teen years. Now whenever I happen to run across cut grass and sweet flower scents, I think of fighting that cantankerous pull-start mower. And Happy Birthday Major D. Davis! It might seem strange, but the vague chemical smell (and the weird reflected light) from swimming pools always bring me back to my youth. My dad used to take my sister and me with him on business trips (mostly around California) when we were kids. While dad was out at meetings, my sister and I would spend entire afternoons (and sometimes evenings) playing around and in the hotel pools, having elevator races, eating junk food from the vending machines (or, if we had extra cash, ordering room service), and generally enjoying kid heaven. Even walking by my apartment building’s pool just now, I felt suddenly like I was 10 years old again. Ahhhhhh. Oh, and I forgot to say: Happy birthday Major D. Davis! The smell of my face washing stuff, it takes me right back to Miami Beach and my mother when I was little. The smell of new clothes (much shopping), the ocean, even the wet bathing suits hanging in the shower. I can almost taste the sweet rolls and blintzes from Wolfie’s, the burgers and club sandwiches from Jordan Marsh and the Ice Princess from Burdine’s (a mountain of merengue and ice cream for the “skirt” of the princess and a little plastic princess on top). The wonderful thing is that I get to do it every day and “be” with my mom who has been gone for 30 years. Wonderful topic and reading your and others comments flooding my consciousness with memories. PG15 comments immediately – brought the fragrance or aroma of an oil used on Chinese swords to keep them from rusting and for some reason I loved and still do love that smell. And, even though I have nothing close to that near me, I can smell it. For a long while, I refused to listen to oldies and goodies music because some of the tunes brought back painful memories. Then a very good and wise friend said, I was also cheating myself of very good memories which do in fact outnumber the painful ones. Skunk??? Ick! :p Got a lotta skunks where I live. I never see ’em but I can smell ’em. Everytime…I drive home from work at night…I’m always smellin’ a skunk. I like gag. Ick. What makes me natsukashii? When I hear 80s music on the radio. Or…when I watch an old TV show from the 80s. That was my childhood. And…I loved my childhood. I love to reminisce back to my childhood days. My mom was always with me as a child. And…I guess that’s how I like to remember her. My mom passed away 7 years ago and I still miss her so. My mommy took very good care me as a child. I think I live in a constant state of natsukashii. Through out the year, the different seasons and days are always bringing up memories and feelings. Every September, late in the month, when the summer heat finally starts to break, the days turn absolutely beautiful. There is always a day where there is a deep blue sky and the temperature is perfect. And I remember a very young co-worker, who one Sunday evening decided to take her own life. Every year that beautiful September day rolls around and I think of her and wonder why would anyone want to kill themselves on such a beautiful day. I guess some natsukashii can be haunting. Here’s my true “natsukashii”: Stangl pottery from my home region in New Jersey. The”Farm Life” design was our everyday dinnerware. My sis has the set now, but I have several other pieces, including two teapots. I’ve found the odd piece in antiques stores from NJ to Texas; even browsed for Stangl last week in an Irish antiques mall. At this time of year, a late-afternoon sun (with some lazy, puffy white clouds) shimmering on either ocean or lake water. Beach-salty and sunscreen scents, or the smell of warm wood on freshwater boat docks. The sound of surf-reverb guitar, Don Henley’s “The Boys of Summer,” or any of quantity-unknown awesome/cool songs that have stayed with me over the years. Being pleasantly worn out from swimming, walking at water’s edge, etc., all day, and anticipating an alfresco dinner with friends or just on my own. “Beach hair” and slightly rumpled, summery clothes. Comfy sandals. The fragrance of ripe strawberries. Love reading your and everyone else’s natsukashii recollections. Excellent topic; thanks. . .